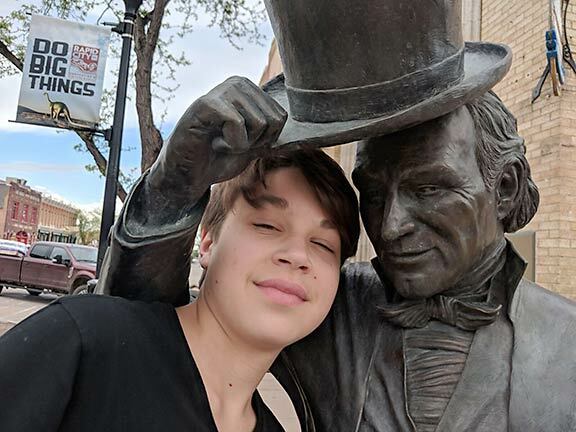 "ADAPT, OR YOUR NEXT VACATION COULD GO DOWN IN FLAMES"
Iden Elliott and James Monroe, the fifth president of the United States, in Rapid City, S.D. If you don't adapt, your next vacation could go down in flames. I mean that - literally. But also, figuratively. I had a rental home lined up for next month, and it fell through dramatically last week. After a month of exploring South Dakota, my kids and I were about to become homeless. When you travel, plans can change at any minute. You could lose your accommodations, or your plane could make an emergency landing, or the weather might throw you a curveball. And you have to adapt. If you're one of the millions of Americans making vacation plans for this summer, you'll probably have a problem-free experience. But just in case you don't, I've got you covered. 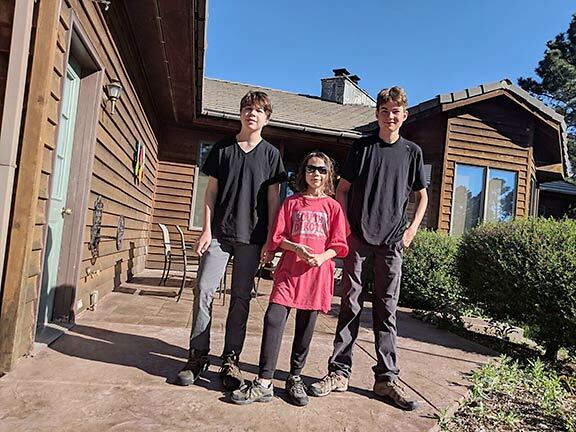 Iden, Erysse and Aren Elliott at their vacation rental in Black Hawk, S.D. From here we had nowhere to go. Or did we? The bottom fell out of our itinerary on a Monday morning. "I'm sorry to inform you that my business partner booked a reservation on the house that came in earlier today," the owner explained in a terse email I received just after signing a rental contract. Oh, no. My ability to adapt was about to be tested. Could I find a rental for the next month in Missouri? Or anywhere? With just two days before Memorial Day, my inner travel expert said, "Good luck!" But my alter ego, Mr. Optimist, countered: "Oh, yeah. We could go “anywhere!" I scrambled to find replacement accommodations. Missouri wasn't practical because we had to return to our home base in Arizona for family reasons at the end of June. So I started looking for rentals in Cheyenne, Wyo., Fort Collins, Colo., and Santa Fe, N.M. I made calls, sent emails, and waited. Much to my surprise, there were still places with room. Some were preposterously expensive, hoping to cash in on the holiday weekend. At least one, in Cheyenne, had no furniture and looked like a dump. But others were reasonable. I found a lovely furnished three-bedroom condo in Fort Collins — a place I know well — for about $80 a night. I would have loved to have visited Missouri, and I still hope to down the road. But I also love Colorado. When circumstances change, don't fight it. Dive in headfirst and make the best of it. That's the stuff adventures are made of. 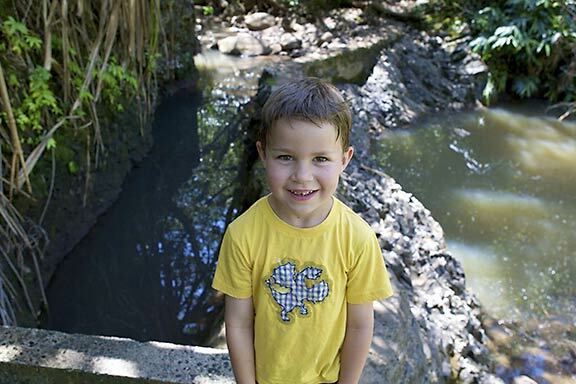 Iden Elliott in Maui in 2011. Shortly after I took this picture, our flight made an emergency landing in Honolulu. Your vacation can go down in flames in a more literal way. I remember being on American Airlines flight #14 from Maui to Los Angeles in March 2011. I'd just started dozing off on the overnight flight when I felt a jolt and a sharp turn. The PA crackled to life. Several tense minutes later, we landed safely. I remember the other passengers griping about missing work the next day in LA. "How are you going to fix this?" they demanded of the overwhelmed airport staff in Honolulu. American Airlines provided hotel rooms and meal vouchers, and sent us to California on the next available flight. Not too bad. But the aggrieved passengers failed to see the opportunity fate had handed them. They'd survived a fire on an aircraft, something not everyone does. They had a chance to visit Honolulu, a city with a rich history, the best beaches in America, and lots of terrific restaurants. Thank you, American Airlines! And my takeaway — which I tried to explain to my son Iden, although he was probably too young to understand at the time — is that you have to anticipate the curveballs when you're on the road. Things don't always go as planned. That's an essential part of the travel experience. Besides, if everything went smoothly, I'd have nothing to write about. 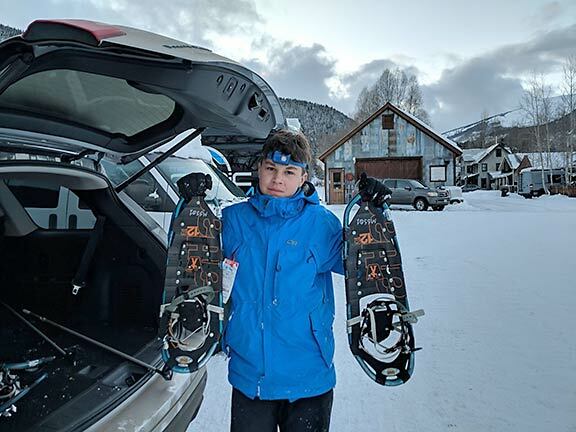 Iden in Crested Butte, Colo., in January 2017. Not enough snow to ski, but the snowshoeing was still fun. My favorite adaptation stories are weather-related. I remember visiting Crested Butte, Colo., last January with my family. We'd heard about the legendary snow and couldn't wait to ski. But that wasn't meant to be. The snow gods decided to take the month off, leaving Crested Butte's slopes bare and icy. No problem, I told my kids. We can still enjoy the great outdoors. "Let's snowshoe!" I suggested. And we did. Crested Butte happens to be “Colorado's Nordic ski capital” with a vast network of trails. And they're a lot of fun, even when the elements aren't cooperating. This year, the trails stayed open until early April. On our visit, we hiked out to a yurt, where we could warm ourselves by a fireplace and sip hot cocoa. Better than skiing? Two out of the three kids said yes. Iden, who had survived the emergency landing in Hawaii, told me he'd rather be on one of Crested Butte's legendary black diamond runs. Some lessons take a while to learn. If you're serious about travel, adapting is not just important; it's mandatory. You can't have a good vacation without a little adaptation. Because if you don't, you'll expect everything to be perfect — and inevitably, you'll be disappointed. That's true whether you have a confirmation for your hotel, an airline ticket, or plans to spend time with your family in the Rocky Mountains. Christopher Elliott's latest book is “How To Be The World’s Smartest Traveler” (National Geographic). He edits the family adventure travel blog http://www.awayishome.com. You can follow his adventures on http://www.twitter.com/awayishome, https://www.facebook.com/awayishome/. © 2018 Christopher Elliott.